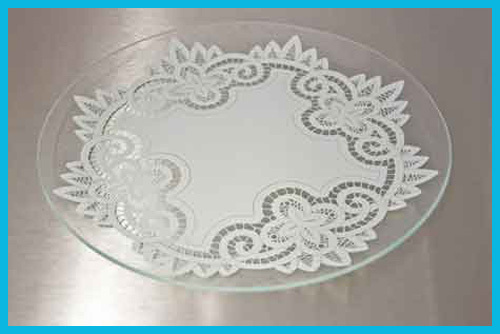 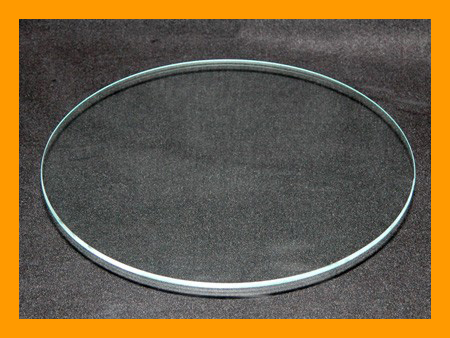 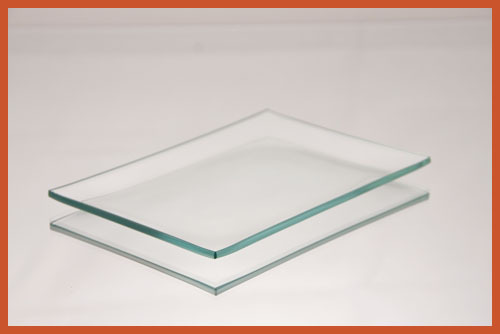 These lace glass plates come in different lace designs including Battenburg. 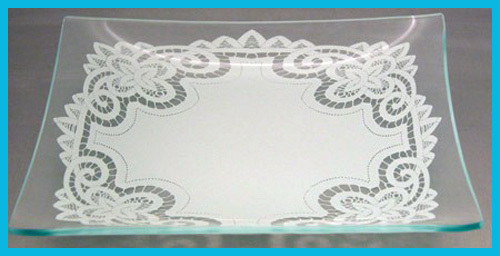 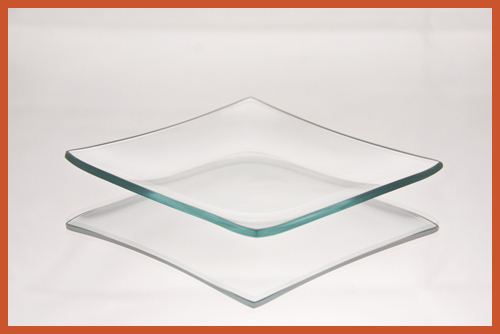 They are great to collect and display and add a decoration to your light serving needs. 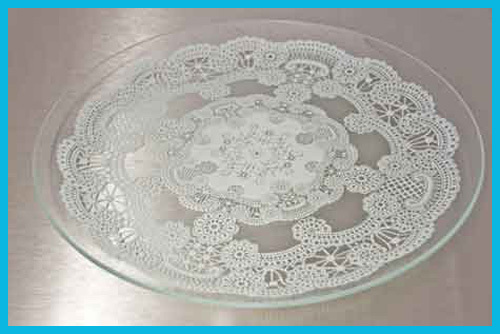 These plates have been used to plate cookies for a wedding reception and then given as gifts to the friends that baked. 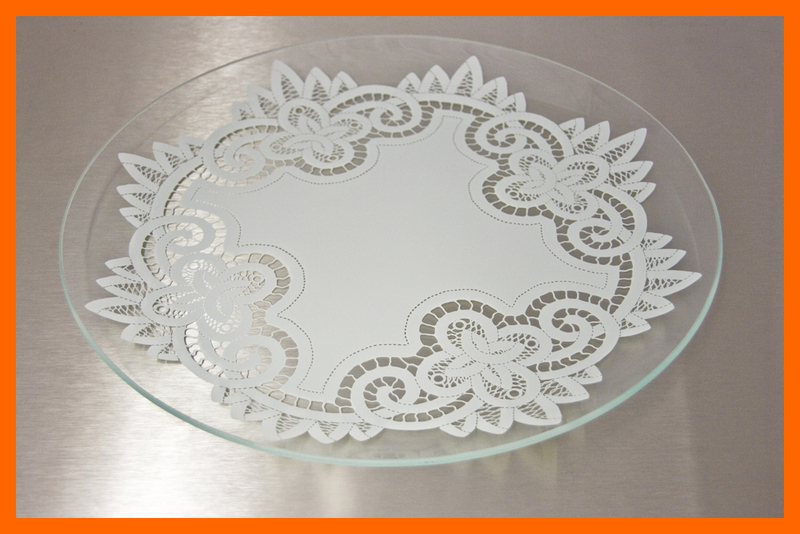 We recommend these plates be hand washed. 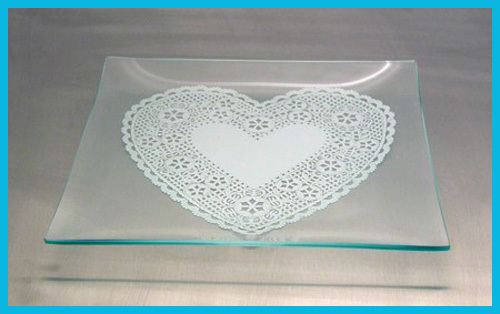 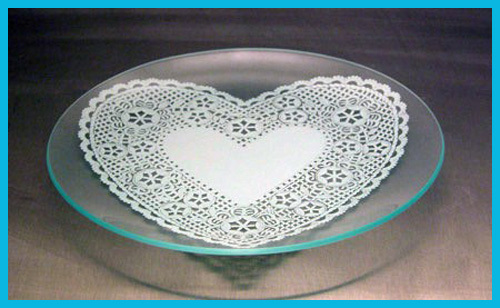 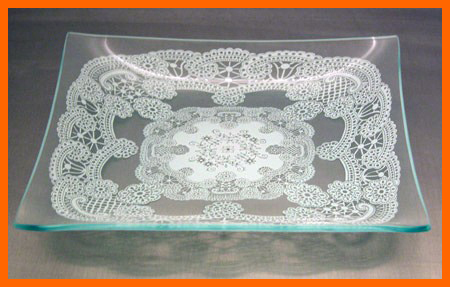 8" Square Battenberg Lace Glass Plate 1/8"
8" Square Queen Anne's Lace Glass Plate 1/8"
8" Round Battenberg Lace Plate Bent 1/8"
8" Round Lace Heart Glass Plate 1/8"
8" Round Queen Anne's Lace Glass Plate 1/8"
6" x 12" Rectangle Queen Anne's Lace Glass Plate 1/8"
6" x 12" Rectangle Battenberg Lace Plate 1/8"
8" x 14" Rectangle Battenberg Lace Plate 1/8"
8" x 14" Rectangle Queen Anne's Lace Glass Plate 1/8"